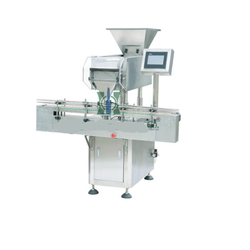 Leading Manufacturer of tablet counter and filling machine from Ahmedabad. Automatic Tablet Counting And Filling Machine We offering Compact and easy operate Tablet Counter And Filler. Suitable for Various types of Tablets and Capsules count and fill into glass and pet bottles. Available as per customer requirements, like single head, two head, and four head.